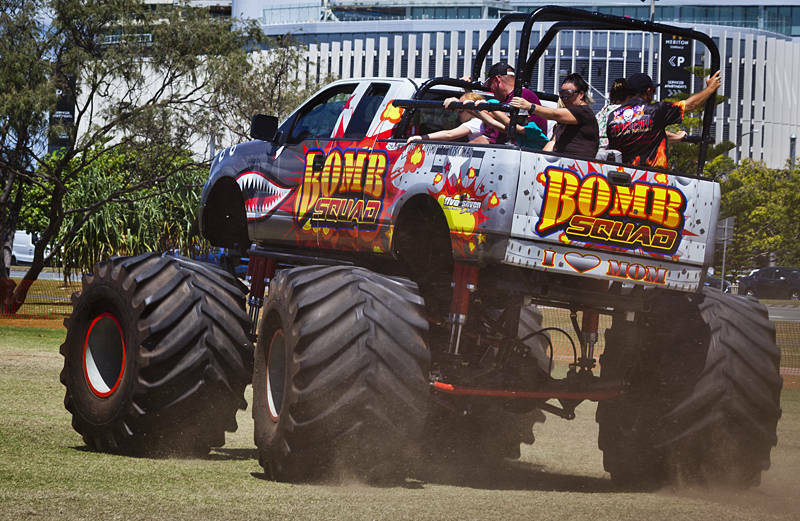 This monster truck, called Bomb Squad, was offering rides this weekend at the Southport Broadwater Parklands, Queensland, Australia. Due to recent rain it did not take long for it to tear up the grass. Although the council restricted the hours on both days, organizers did well to keeep everyone informed via the facebook event.